I have been meaning to write something on blockchain for quite a while now. So, in this post and the next few, I will write what I hope are some simple lessons which will give you an appreciation of blockchain. To do this, I want to go back to some basics first and here I will remind you what a currency is. For these posts, I will use the example of a blockchain being used in cryptocurrencies, but there may be many other uses as time goes on. So what is a currency? We probably all think we know what it is, it is the money in our pockets. That is a fair starting point, but we need to big a little deeper. In accounting – see for example the IASB’s Conceptual framework – there are several measurement bases: current cost, historic cost, present value, realisable value. The conceptual framework of the IASB defines measurement “as the process of determining the monetary amounts at which the elements of the financial statements are to be recognised and carried in the balance sheet and income statement”. Monetary means in money, and money can be defined as a current medium of exchange – hence the word currency. So, for accounting, this means we measure assets, liabilities, incomes and expenses in currency – a dollar, a euro, a pound. So why not in bitcoin, or litecoin or ethereum? Are these not currencies? To answer these questions, let me divulge for a moment. When I was in secondary school, I studied “Business Studies”. From this, I remember something which used to be printed on all the Irish pound notes before we had the Euro, the term legal tender. I also recalled that all pound notes were legal tender, and a certain amount of coinage. Legal tender means that the currency is acceptable as a means of settling a debt. In Irish law, before the introduction of the Euro, a 1969 law set out that all notes and some coinage were legal tender e.g. a debt of £20 could be paid in coins of 10 pence or greater. The concept still applies to the Euro notes, and in other currencies too. However, being legal tender only means something is an acceptable means of payment, it does not have to be accepted in general. Thus, cheques, credit cards, PayPal, ApplePay, and guess what you got it, cryptocurrencies, do not have to be accepted as a form of payment. Having said that, typically banknotes are issued by a country’s central bank and are nearly always accepted. So, if something is not legal tender, then there is a chance they may not be accepted as a method of payment (i.e. settlement of a debt). At this stage you are thinking, but if credit cards etc are not legal tender why are they so widely accepted? The answer lies in the fact that the banks who issue the cards and process payments are doing so typically in a currency recognised as legal tender. Let me pose a question now. If you went to a typical shop in a town or city, and you had some cryptocurrency, maybe bitcoin, in an electronic wallet would you be able to pay for a coffee? The answer is generally no, but there are some online and other retailers who will accept payment in bitcoin. So it is probably fair to say that as bitcoin is not generally accepted (yet), it is not a currency. And, as far as I am aware, no cryptocurrency is yet legal tender. For accountants, this means that we are not yet measuring in cryptocurrency, and no accounting reports will be prepared in bitcoin for example. Thus in accounting terms, any cryptocurrency a business may have is treated as an asset in the financial statements – typically a current asset, like a normal bank or cash account. Of course, cryptocurrency values seem to be rather unstable, but this is not something I cover here. Now that you know what a currency is, Part 2 of this series of posts will explore how bitcoin payments are processed. I hope to write a few posts on this topic in the coming weeks, as we hear so much about blockchain and bitcoin and how it affects accounting/accountants. Before I do, this article in a great primer. For example, it relays the fact that bitcoin (for now) is an asset not a currency in accounting terms. Have a read, more to come soon. A faulty income statement, or not? Or a profit and loss account if you like the older term. Below is simple income statement (which has been published in the public domain), or more precisely an income and expense account, which is a term often used in clubs and charities. So, this example if not IFRS based, but the basic principles are the same. To be fair to the preparer of the statement below, it is quite detailed and transparent. But there is one problem – can you spot it? (“Einahment und Ausgaben” could translate as income and expenses or receipts and payments, but I will come back to this below). 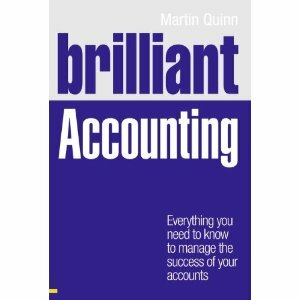 Just to remind you, accounts are generally prepared using the accruals concept, but in smaller organisations like churches and charities, using a cash basis is common. Have you spotted what is seemingly incorrect? It is under the “expenditure heading”. Got it? It is the “repayment of loan”. This is a repayment of a capital item, or capital expenditure. Remember that only revenue expenditures appear as expenses in an income statement, so in the case of a loan only the interest on the loan would be included. So is the above statement incorrect? The answer is probably not, but now back to the nuances of language. The statement above is probably best described as a “receipts and payments” account, as it seems to be more representative of cash coming in and going out. We would need to have a chat with the preparer to be sure. However, including the loan repayment is a pointer that the above is not an income statement/profit and loss. This fits too with the nature of the organisation (a church). You might also notice “reserves” on the income side of the statement above. Again, this is likely a capital item, and maybe should not be included as income. We would need more detail to be sure. Private companies – what accounting information is available to the public? As you may know, there are public and private companies. Public companies can sell shares to members of the public, normally through a broker or exchange, private companies cannot. Both must prepare accounts though, and must also file certain accounting information which in turn becomes available to the public. So what accounting data can Joe Blogs get? The answer is it depends, but I will give you a good idea on this post. In most European countries there is a central register of all companies – as far as I am aware the US does not have such a register, and the SEC focuses on public companies only. In Ireland and the UK, a small fee via an online portal gets me at least a balance sheet of a company – an abridged version for small companies – and an annual return which shows the directors and shareholders and their details (such as address). To give another example, in Germany I can download a free app called the Bundesanzeiger and search for details of any company – again for smaller companies I can get a summarised balance sheet. For larger companies, including public a lot more information is available of course. But even with a balance sheet, or more of the company is medium or large, I can obtain quite a good picture of the financial position of a private company, and quite detailed information of directors and shareholders. Such information can be very useful to prospective investors, suppliers, customers and even employees. Why not search for a private company you know and see what you can find. When I teach Activity-based costing (ABC), one of the example sectors often given to students is healthcare. Just in case you don’t know, ABC is a costing technique which allocates cost to products or services based on resources used by the product or service. If you think about healthcare, even in a standard medical procedure, no two patients are the same and use more or less drugs, time, hospital resources etc. Thus ABC appears useful – one patient may use more resources than the other and so cost more. Of course, healthcare systems around the world vary. Some are fully funded by taxation, some are fully private. In Ireland, the system is mainly a public one, but unfortunately, it is not great in terms of access to treatment. So, if you can afford it, you can have private medical insurance (US style, but less costly) and this gives you more options. With this in mind, here is my recent experience which made me think about ABC and write this post. Last year, I spent 11 days in a hospital for some heart surgery. Thankfully all is well. I am lucky enough to have health insurance. About three months post-surgery, I received an advice from my insurer stating how much the hospital had been paid – about €25,000. Phew, thankfully I did not have to find the cash for that! The advice was interesting in that showed little sign of ABC techniques – and as my hospital was one of the more advanced and modern I would have expected it to use ABC, to be honest. What the advice showed was a charge per day, with this charge being higher for two days in intensive care. Otherwise, there is little else. Unfortunately for me, I had some complications which required more drugs and attention from staff, so I took up more time and resources than some of my hospital mates (trust me, you make some good friends in hospitals). But this is not reflected in the cost. I suppose on balance things work out for the hospital and it may not matter, but to me, this simple example is a prime case where ABC could be used easily. If it were, then maybe health insurance costs would be a lot less in some cases – but that’s a whole other debate. Having said all of the above, research on ABC use shows it is often less than 20% in practice. So maybe I should not be expecting its use in my hospital at all. The Tesla disconnect for me! Ok, so I guess I will start with a caveat – I am not a fan of Elon Musk. He may be a great guy, I have never met him, but as an accountant, I see him as one of those entrepreneurs who may have good business ideas and models but they fail to turn them into profit. Tesla is a good example, and of course, I may eat my words in the future, but the company has yet to make any profitable product in a consistent manner – and they are on the third model of their car! Looking at the Tesla 10K (which includes the financial statements) at the end of 2017, the accumulated losses are just under $5 billion. Okay, if we look at the balance sheet, the assets exceed liabilities, but some of the assets probably could lose value, or be over-valued, which would wipe any net assets. And okay, I get it that Tesla is breaking a mould, but they are not the only ones trying to make better cars. But, the company is 15 years old this year and still has accumulated losses; and the media reports production problems with the latest model still. And, it’s most recent quarter losses are about $700 million. So, let me ask this, would you invest in a company that cannot make a profit after 15 years? As an accountant, my verdict is no way! If you have been in business, or work as an accountant, you’ll know cash is king. Of course, cash does not necessarily mean notes and coins, but cash in the bank. In my experience, getting cash from customers is not as easy and automated as one might think. There are always reasons why customers won’t pay – be it a quality issue, problems with services received or just being stubborn. But regardless of the reason, a business needs to get the cash in, otherwise, it WILL fail. In my career, I have had the (dis)pleasure of sitting down once a month or so with a list of customers owing money. It’s great fun sometimes, and you get the “dog ate my homework type excuse”. One of the great excuses was ” we never got your invoice”, and today this would be retorted with “well it’s in your inbox now, so please pay”. And there may be some genuine excuses, like a family bereavement or lack of action on something like taking back returned goods or issuing a credit note. Or it may be as simple as your credit checks were not up to scratch. Regardless, whatever the reason or excuse, the best attitude is to be friendly but firm – or maybe professional is a good word. A guide from CPA Ireland equates getting paid by customers to getting your salary paid. This is a great analogy. The guide also emphasises the importance of communication, and this means not just with customers, but also with internal staff like sales people to try to determine why customer and not paying – unfortunately, the accounts receivable functions on most software I have ever seen never have the full story on why customers won’t pay. As you may know, many businesses incorporate – which means they are formed as a limited company. The are various types of company, but by far the most common is a private company. One of the key advantages of a company is that it is a separate legal entity, meaning it can sue and be sued in its own right. This means that individual shareholders and managers are protected in some ways and need not always bear the risks associated with the business. However, you may also have heard the phrase “lifting the veil of incorporation”. Let me give you a recent example from personal experience. Where I live, a new residential development is proposed, and like all developments, it must go through a planning process with the local council. While looking at the development files, I noticed that the builder was a company and the designing architect another company. By coincidence, I noticed that the two companies were owned by the same person. This, as you can imagine, creates a bit of a problem in my mind. Then the owner of these two companies as a person submitted a document favourable to the proposed development. So, in eyes of the law, this is three people/bodies, but if we lift the veil of incorporation, we can see it is all the same people behind the entities. From previous posts, you’ll know I am a fan of cloud products and technology in general. I also study and write on change, so a recent experience with QuickBooks software (UK version) is great material for me. I have been a QuickBooks (QB) customer since 2006 – before the cloud was widespread. I have had four desktop versions which in total earned about €1100 for Intuit. So at the end of December, I decide, let’s put this online. I signed up as an Irish customer (as I am based in Ireland, obvious one would think), created my company, and then went back to the desktop product (QB 2015 on my laptop) and ran an export to online company menu option. The end result was not as expected, I had two companies. As I signed on as an Irish customer, my data cannot be transferred from QB 2015 UK desktop version. So, I would have to subscribe in £ for a UK online account if I wish to have my data transferred. Don’t get me wrong, the cloud is the way to go, but surely Intuit (and others) can do better! Just a short post today – I will get back to more regular posts soon. I have written before about several aspects of cloud accounting – see here for example. But we can also think about what cloud accounting providers can do for their clients. Simply, these providers have lots of data and insights on their clients. The Intuit group seem to have been quite clever in recent years with such data – mainly in the US market though as far as I am aware. Here is their latest offering, offering loans to small business. If we assume the potential market is users of Intuit’s Quckbooks, then I could easily surmise that data – even aggregated – from the software could be used to assess the ability to repay and so on. If you are thinking there may be privacy concerns on the data, well I think any bank or lender would ask for financial statements regardless. I have written before about Irish Water, and the role of accounting in the on-going debate on domestic water charges in Ireland. Here is link to a recent blog post by a good colleague, Desmond Gibney at National College of Ireland. I’ve been quiet recently on here due to some illness. While I’ll and having some time on my hands I began to ponder the cost of medicine and where I live ( Ireland ). I know we are one of the more expensive places to buy medicine in Europe, but here I’m not going to refer to any price indices or similar. Instead I’m going to try to quickly break down the costs of doing business in two countries – Ireland and Spain – to explain price differences. A business manager might do this regularly to gauge the competition. To give an example of the price difference, I know that a common prescription pain killer costs €26 in Spain versus €42 in Ireland. Some medicine I use myself costs about €12, versus €23 in Spain. And just tonne clear, these two examples are for identical nongeneric medicines. The first is taxes. I found that most medicines in Spain have 4% VAT, whereas most in Ireland are at 0%. So we can rule this out. Second, a tax consultant in Spain told me that to purchase a pharmacy in the city I stayed in would cost about €2 million. This is due to limits on how many pharmacy licences there are. This cost results in high depreciation from an accounting perspective, and is similar to Ireland. Third, by my guess, all other costs like labour, rent, light etc are cheaper in Spain, probably 10-50% less. So this leads me to one remaining thing – profit margins. The profit margin would be spit between the pharmaceutical company, a distributor and the pharmacy itself. Without insider information, it is very hard to know what these margins are. Having said that, they must be a large explanatory factor for the price difference. And for the fun, to give a more marked price difference. I recently saw a TV programme on the cost of medicine in the US. It not the cost of a monthly supply of insulin at $900. This was quite unaffordable for pensioners on a low income. Many who are near the Canadian borders drive across to Canada, where the price of the same product is CAD$ 120. Of course, I’m doing a quick and dirty, non- scientific analysis here. But business is full of gut instinct and similar, and my experience and gut tells me profit margins are a huge explainer for medicine price differences between countries.